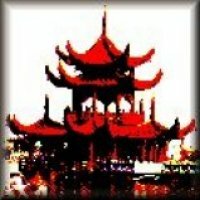 eBook Dynasty welcomes all readers who are interested in reading Chinese ebooks, whether these are written in Chinese or have been translated from English. Here at eBook Dynasty, our long-term goal is to help the best literary voices reach across all linguistic and cultural boundaries. eBook Dynasty is currently developing a Chinese ebook format that reaches across all platforms. Prior to the official launch of this product, all our Chinese ebooks are published in three formats: MOBI, ePUB and PDF. Exceptions include those bilingual (Chinese and English) ebooks and those Chinese ebooks requiring a considerable amount of tables and graphics. Starting from November 2014, eBook Dynasty provides Chinese print book sales and promotion services. Since November 2017, we have been collaborating with IngramSpark (print-on-demand, or POD). All our Chinese print books are distributed via the Ingram Content Group's Global Distribution Partners, including well-known retailers and wholesalers across North America, United Kingdom/Europe, and Australia & New Zealand. POD means a book will be printed only after a reader has purchased it. This service not only saves costs in printing and storage, but also meets the demands of both authors and readers. The price of each Chinese ebook and print book is decided by its author and eBook Dynasty together. Obviously there is no shipping fee involved when buying a Chinese ebook. However, when purchasing a Chinese print book, a shipping fee will be charged that is based on the print book's weight and the purchasing reader's physical location. We accept online payment via PayPal or by credit card. For more details on how to register and use PayPal, please visit its website. Meanwhile, you do not have to be a PayPal user to purchase from eBook Dynasty. Simply click on the "Add to Cart" button (see below) on the web page of the Chinese ebook or print book you intend to buy. If you are purchasing a Chinese ebook: Once we have received your payment, a personalised copy of the Chinese ebook will be delivered to your email address within 24 hours, together with your receipt. Therefore, please ensure that you provide a correct email address. After that, should you wish to renew your personalised Chinese ebook due to damage or loss of the file, please Contact Us. If you are purchasing a Chinese print book: Once we have received your payment, a copy of the book will be printed and delivered to your mailing address, in approximately 14=20 days. Please ensure that you provide a correct mailing address. We will produce a personalised Chinese ebook for your families and friends, and deliver it to them for free. A receipt will also be delivered to you. Please note that you could skip the person's email address and confirm the book's delivery by yourself. eBook Dynasty strives to serve and win the trust of all Internet users. Knowing how important it is to protect your privacy, we will NEVER share your email address and other personal details with any third party. Once you have purchased and downloaded a Chinese ebook, you can read it via the relevant software. In order to protect your rights as a paid customer, the Chinese ebook will be produced specifically for you. A limited number of digital rights management (DRM) mechanism will be applied to the file in order to prevent its modification or duplication. In the same way that your privacy will be fiercely guarded, we request that you also respect the intellectual property rights of all authors. We ask that whichever Chinese ebook you intend to purchase and download is for personal use only and will not be duplicated, reproduced or published in any way.